Square-Enix has posted an English subtitled version of the final Japanese trailer for Final Fantasy Type 0 HD. It’s narrative heavy, with dramatic scenes of various characters exchanging foreboding dialogue that presage an impending doom which must be averted. All of this unfolds before our eyes as the amazing song Utakata, composed by Takeharu Ishimoto, adds even more gravitas to the presentation. There is little game play shown in this final trailer, which is clearly intended to give the audience a compelling look into the drama, personas and character dynamics that fans of anything Final Fantasy have long since come to expect from the series. If this final peek at the finished product is any indication, the feels will be strong with this one. Anybody that’s played the PSP version of the game or taken a gander at a plot synopsis knows it’s a fairly dark entry in the series. 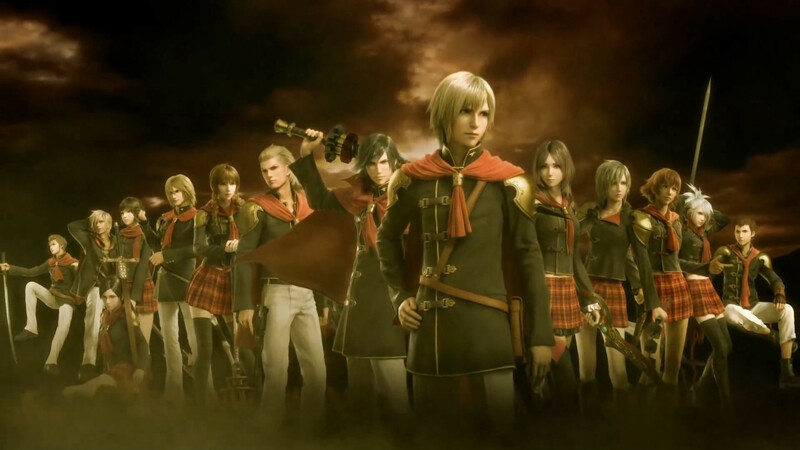 Fans of Final Fantasy, and of Final Fantasy XIII, in particular, know that Type 0 was originally to be titled Final Fantasy Agito XIII, and was intended for release on phones and mobile devices as part of the ambitious Fabula Nova Crystalis (translated from latin as ‘The New Tale of the Crystal’) saga. Fabula Nova Crystalis was meant to be a series of connected games that focused on a different aspect of the mythology and lore of the XIII universe. In fact, the l’cie (people cursed to complete a quest or be transformed into a monster) are directly referenced at one point in the new trailer. Despite positive sales for Final Fantasy XIII, market response was tepid with the main audience criticisms being the on rails game play, uninteresting cast and abundant narrative exposition. As a result, S-E chose not to focus too much on the Fabula Nova Crystalis concept and eventually released Agito as Final Fantasy Type 0. The forthcoming Final Fantasy XV was also originally meant to be a part of the saga as well, under the name of Final Fantasy Versus XIII, but the much delayed project has since been rebranded as the next numbered entry in the series and was given a considerable boost in development in order to release a more robust product. Final Fantasy XV bears mentioning here because every ‘day one’ copy of Final Fantasy Type 0 HD comes with a playable demo of Final Fantasy XV titled Episode Duscae. Final Fantasy Type 0 HD is a remaster of the PSP title with improved visuals and additional difficulty settings. The multiplayer element was removed for this release. The game is coming out in the United States on March 17th, 2015 and in Europe on March 20th, 2015.